Outside the breeding season, there is less testosterone production. The Leydig cells are relatively small and lie grouped together in few interstitial areas. Their cytoplasm is sparsely lipoidal which makes them more colorable on HE staining. They have a rather small and dark nucleus. 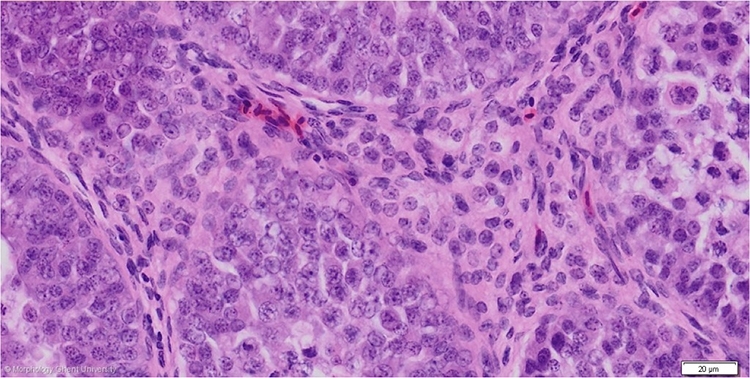 On the micrograph above, few interstitial cells already have a paler nucleus which is a sign of beginning (secretory) activity.